I have read many forum post regarding WCF REST service creation and implantation but its much difficult to understand to beginners so to make it understandable, decided to write this article which shows step by step how create WCF REST Service. To understand WCF REST service, you need to at-least beginner knowledge on WCF ,if you are beginner in WCF then please refer my following articles of WCF. What is WCF REST ? REST stands for Representational state transfer which is technique to communicate on cross platform application and exchange the data in JSON or XML format with the help of GET,POST,PUT,DELETE methods of HTTP protocol. GET : Get the resource (Records) from particular source such as SQL database. POST : Used to insert the records into the particular source such as SQL, Oracle database. PUT : Used to modify the resource or records. DELETE : used Delete the specific resource or record from particular source. I hope you understand basic about REST concept , Now let us start step by step to create WCF REST Service. 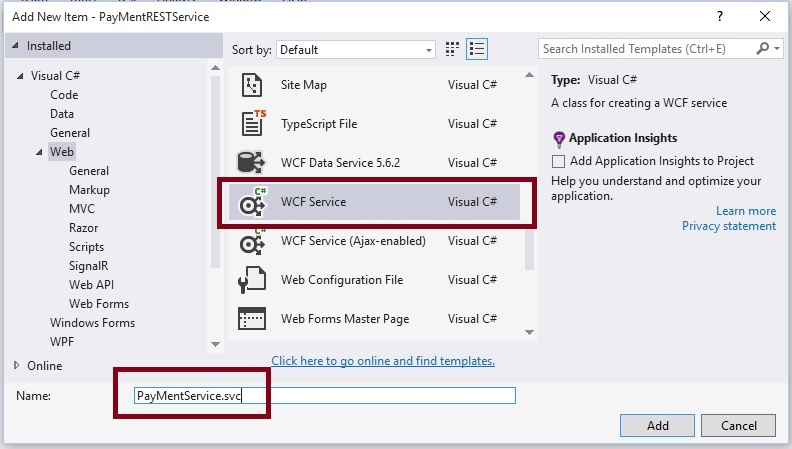 Step 1: Create WCF Service. 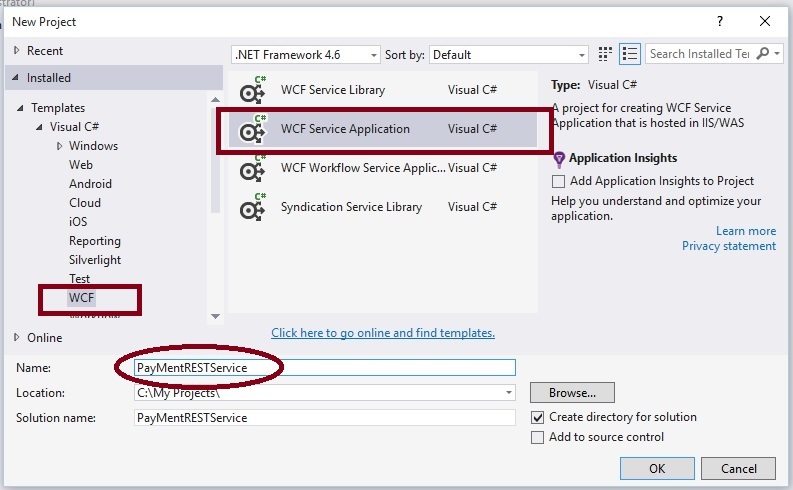 "File" - "New Project" - "C#" - WCF Service Application as shown in below. 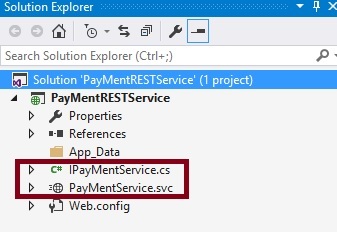 3 .Provide the project name such as "PayMentRESTService " or another as you wish and specify the location. 4. Now delete the auto created Interface and svc file which we will create new one so beginners can understand it. 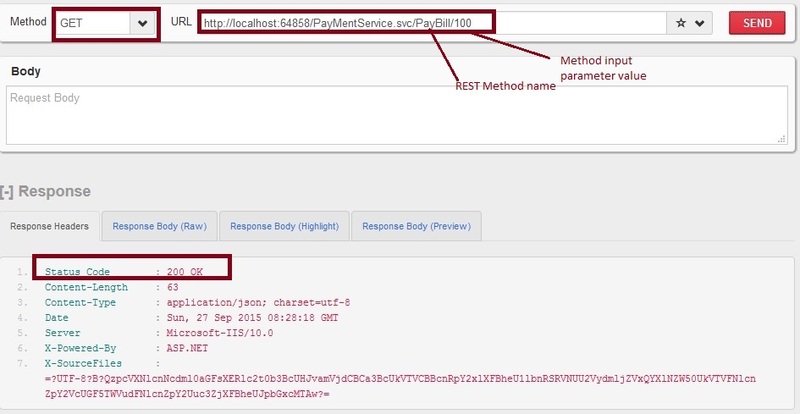 Step 2: Configure REST Service Template. I hope you have understood the basic REST Template from above image. 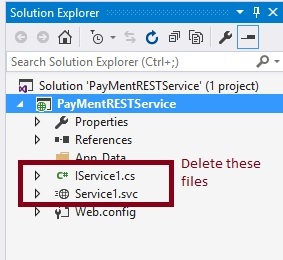 Step 3: Implement IPaymentService.cs interface methods into PaymentService.svc.cs file as. Now our REST Service Code is ready ,lest us complete another more steps. I hope you have done same configuration which i have done . Step 5: Test REST Service. From preceding output its clear that out service executed successfully and as per configuration its returned JSON output .Hope from preceding examples we have learned how to create WCF REST Service.